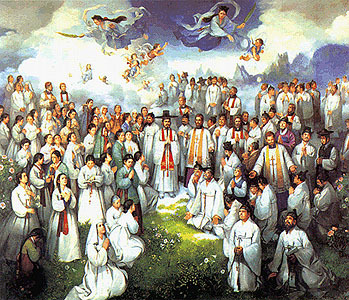 [The Romanization of the names of the Korean martyrs are presented in two manners: the first using the McCune-Reischauer System, and the second, the system implemented by the Ministry of Culture and Tourism of South Korea. 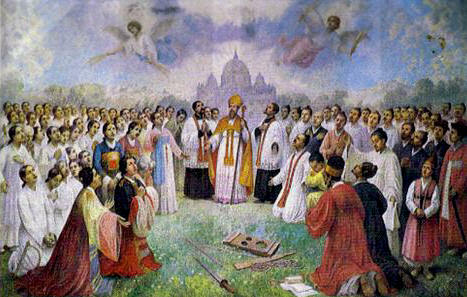 McCune-Reischauer was originally used by the Korean Catholic Bishops Conference. 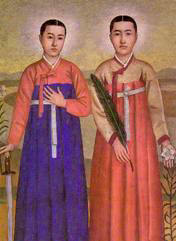 As it has been the practice, the martyr's baptismal name in Latin is added to the Romanized Korean name. 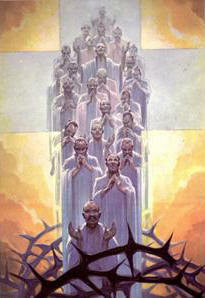 This is the way that the names of the canonized martyrs have been promoted in literature. Because of this, the editors of the Hagiography Circle have decided to retain the McCune-Reischauer transliteration in the website.